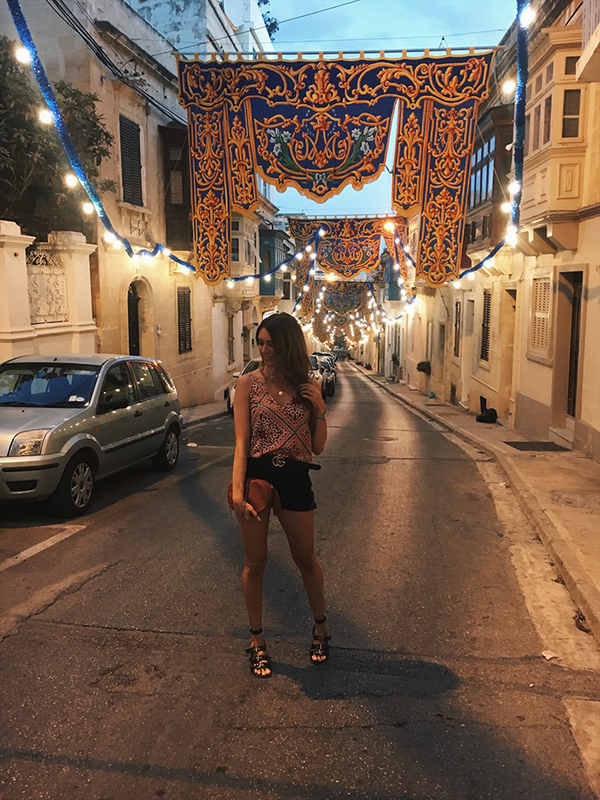 Following an amazing trip to Malta, I wanted to share some of the best things to see and do if you’re planning your own trip to the beautiful country. 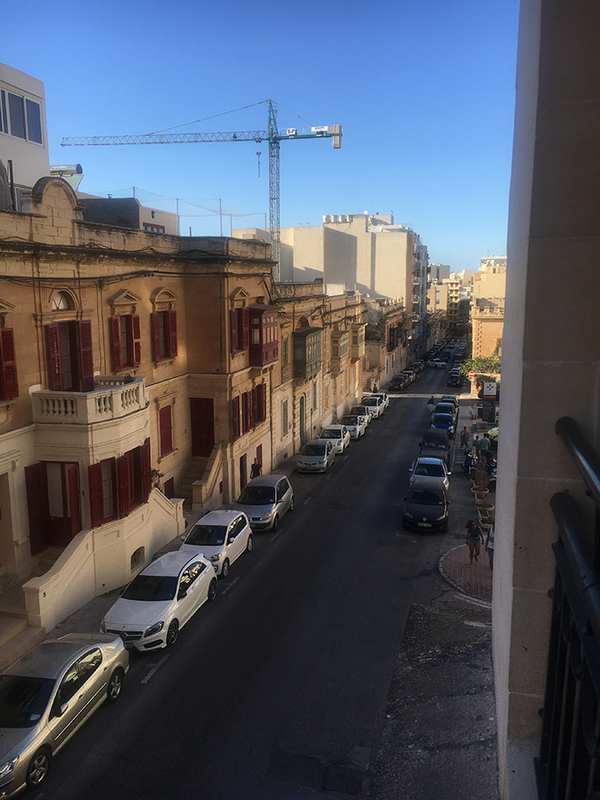 After looking at loads of accommodation options, it was The Victoria Hotel in Sliema, Malta that stood out. Part of the AX Hotels group, I really couldn’t fault anything about this gorgeous hotel. We booked through booking.com and upgraded to a Junior Suite. We paid approximately £1,300 for a week stay with breakfast included, which I think was a really great price for what we got. 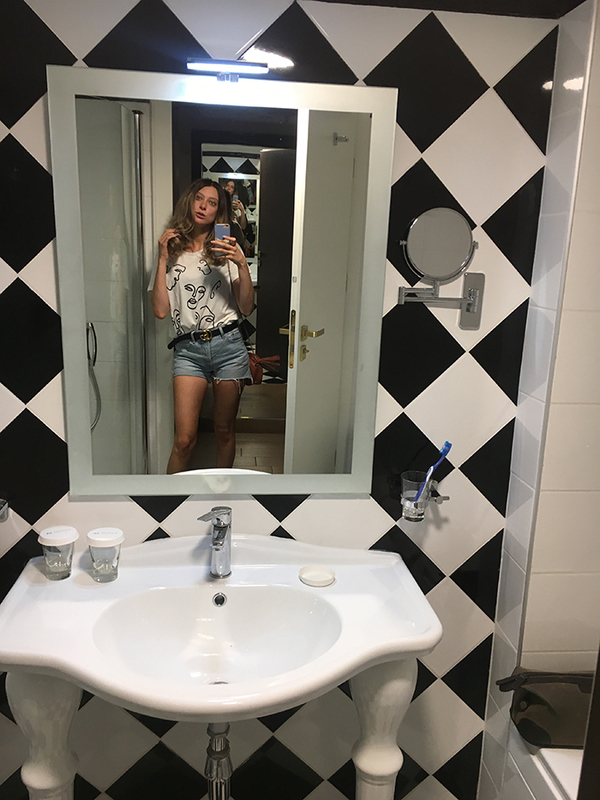 One thing I would recommend to any ladies (or gents, of course) with long hair – take your own hair dryer! There is one in the room, but it was no match for my unruly locks and I ended up buying a hairdryer in one of the shops. 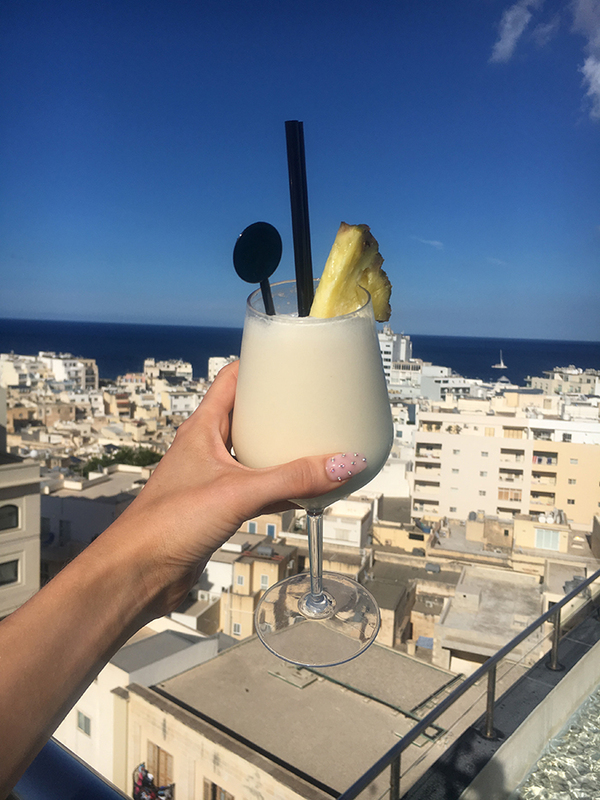 The hotel is ideally situated just a few minutes walk to the main Sliema strip, which has great bars, restaurants and shops, as well as a beautiful walk along the marina. The hotel is actually joined to its sister hotel, The Palace Hotel, which has a great dining offer for guests of both hotels. 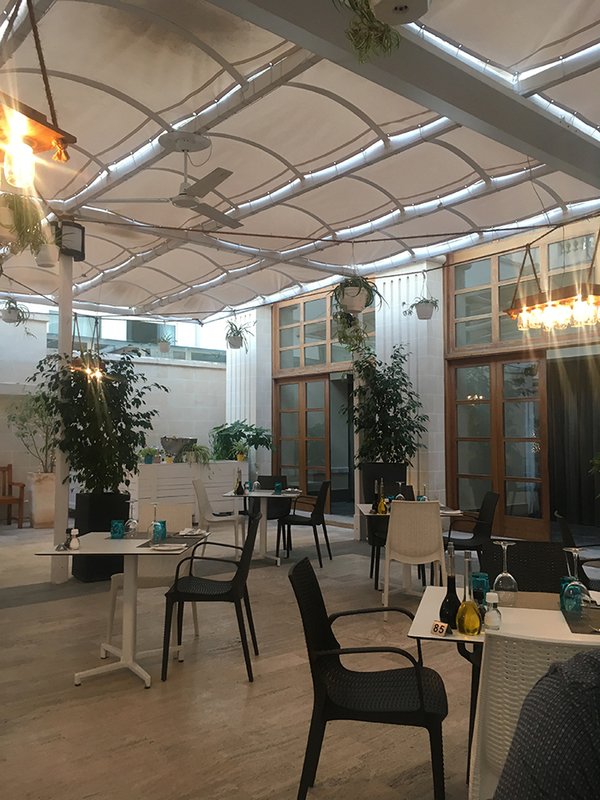 One of the offers was pizza and pasta evenings, letting you pick a set starter, a pizza or pasta and unlimited drinks for three hours for just 16.95 Euro each! There are plenty of dining options in the hotel outwith this too, so you never needed to go too far. 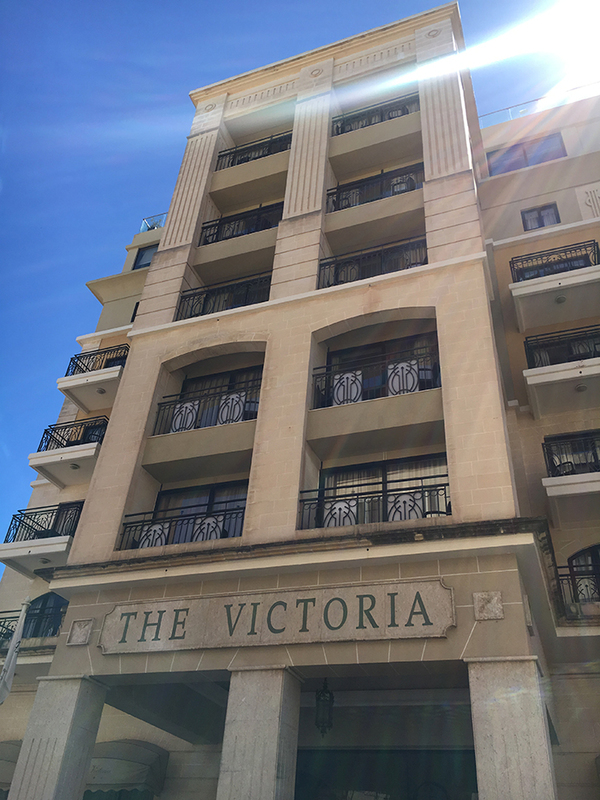 The Victoria Hotel was the top of our list due to many factors, but one of the main aspects was that it had its own rooftop pool, perfect for relaxing after a day of seeing the sights. 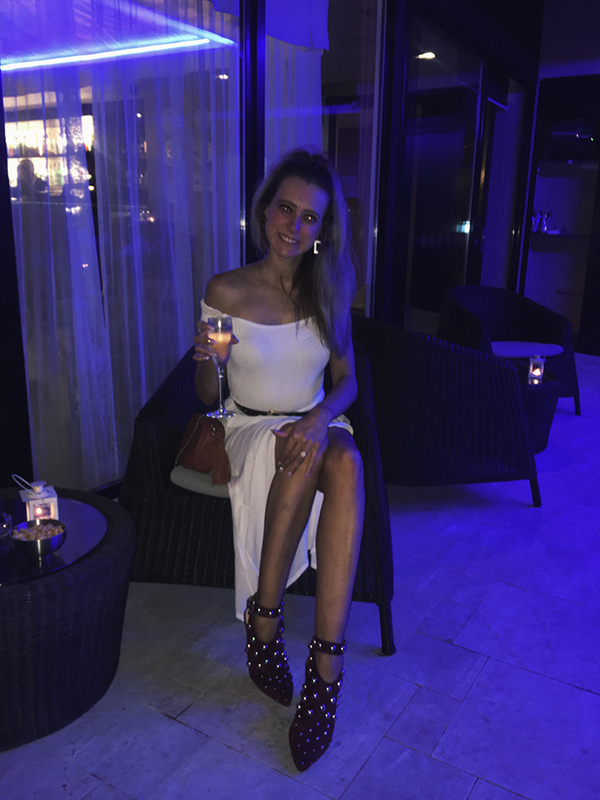 At night, the rooftop turned into the 360Bar with chilled music, good cocktails and a nice atmosphere, with views out across Sliema. We ended up here every night – it just seemed the best place to be. This was one thing I really could not fault. From the moment we arrived, every member of staff was polite and welcoming, ensuring our stay was as perfect as possible. The staff on reception were always helpful with suggestions of the best routes to take and travel recommendations. 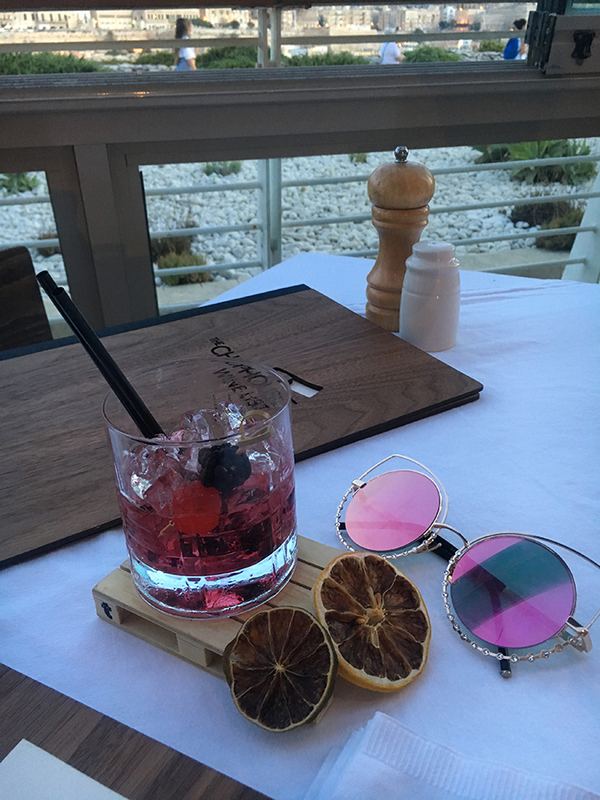 Special thanks has to go to Danielo from the 360bar, who by the end of the week knew our drinks order before we’d even sat down! 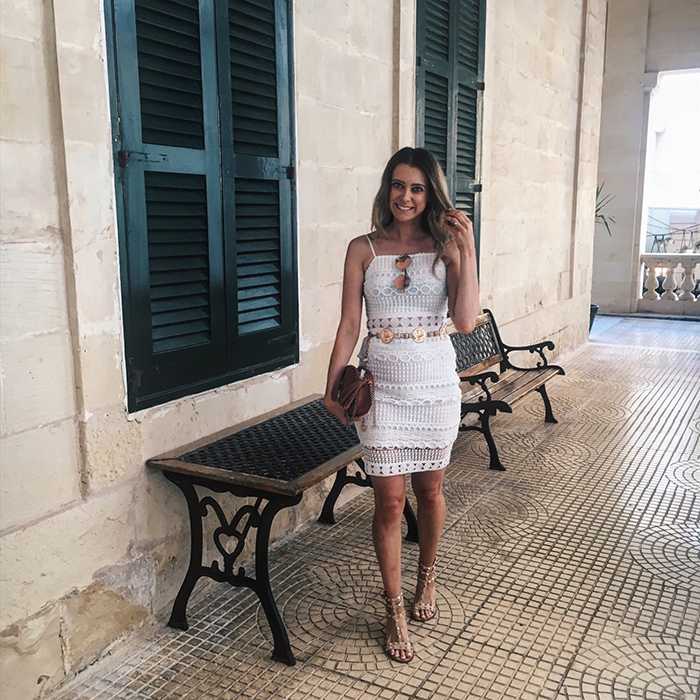 Okay, so I was always going to be a little biased about this recommendation as it was where we went for the most perfect dinner on the night we got engaged! 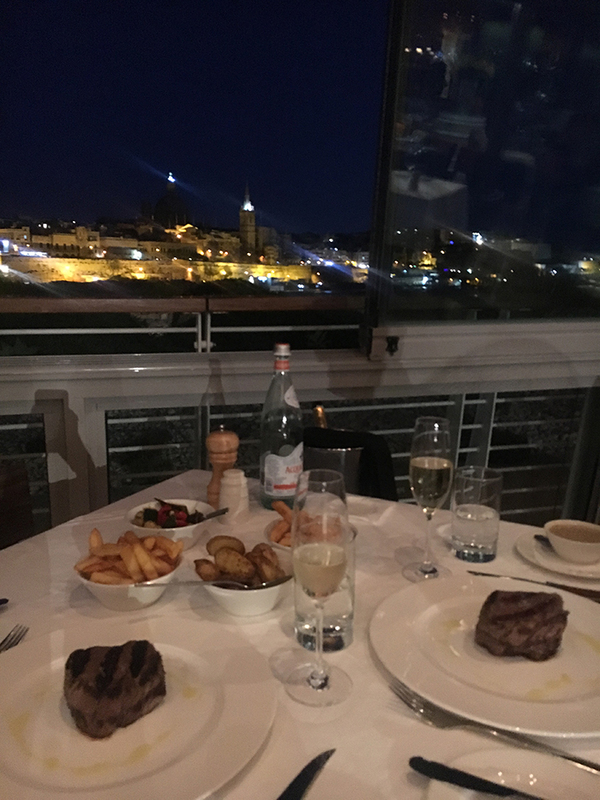 Brian and I both love a good steak so he had done his research and booked a table with an incredible view of Valetta at this beautiful steak restaurant. As soon as we arrived, we were greeted by Matthew and given the option of going straight to our table or having a drink in the plush bar area (already a plus in my book). I opted for a bramble, which was hands down the best I’ve ever tasted. Plus, look at that presentation! I’m going to have to buy all my drinks their own palette from now on. Post-bramble, we were shown to our table, with a gorgeous look out across the water. 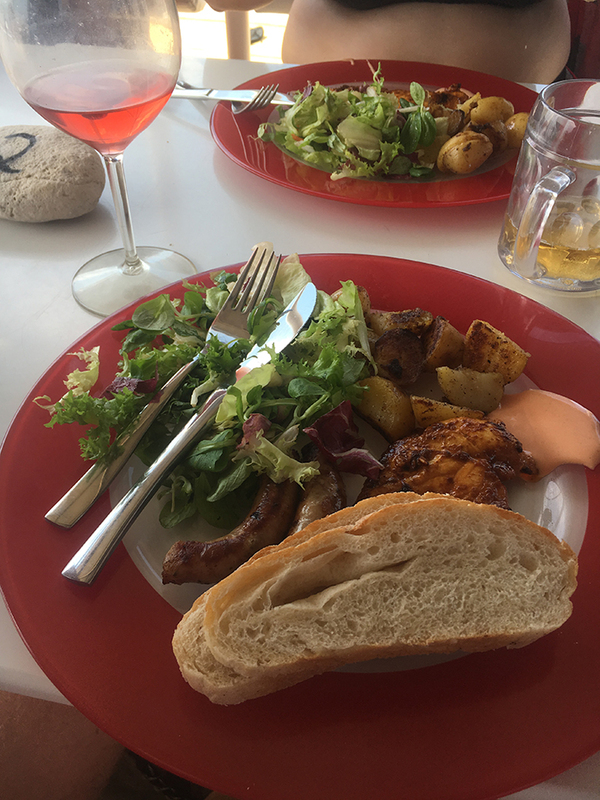 In terms of the food, I cannot recommend it enough! We’re still talking about that amazing steak and loved it so much, we went back on our last night too. I’d recommend booking a table in advance too, especially to try and get a table with a view. 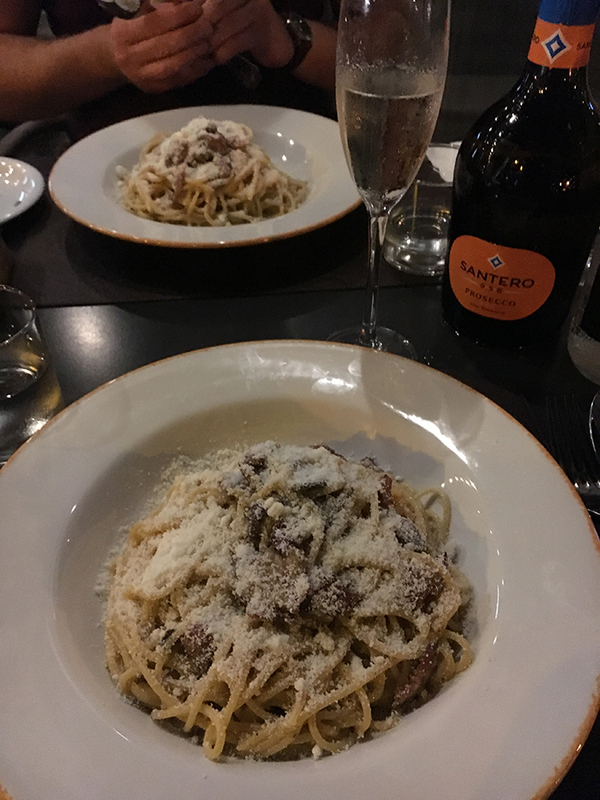 We found this restaurant on our first night and loved the relaxed vibes; the perfect setting to enjoy spaghetti carbonara and a bottle of prosecco. It wasn’t as crowded and busy as some of the other restaurants along the strip, which made for an even nicer dining experience. 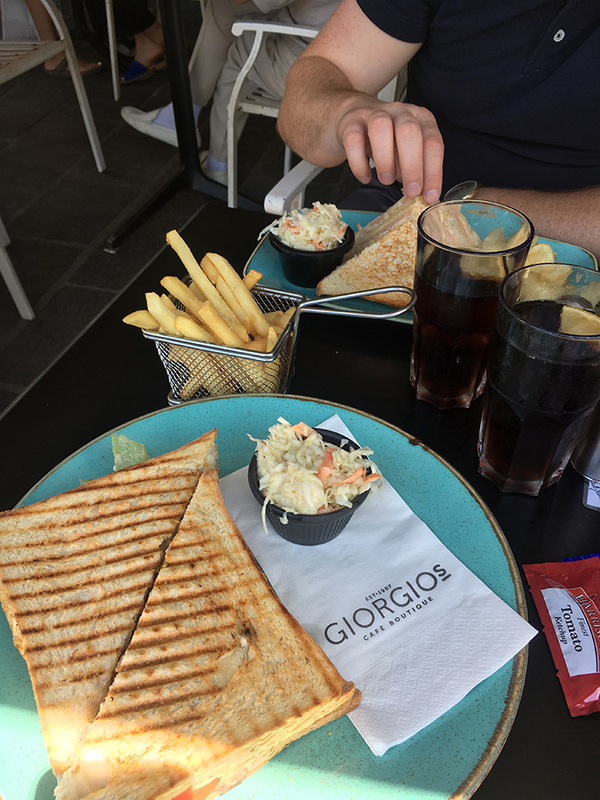 If you’re out and about and want a nice, but quick food stop, we really liked Giorgio’s. It was always busy, but a good location and the staff were good too. 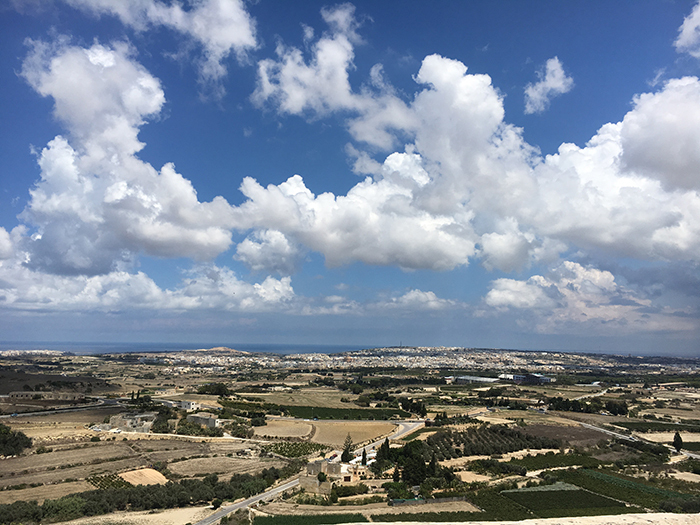 Before we went to Malta, we booked a day cruise on Tip Top One and could not recommend it enough. 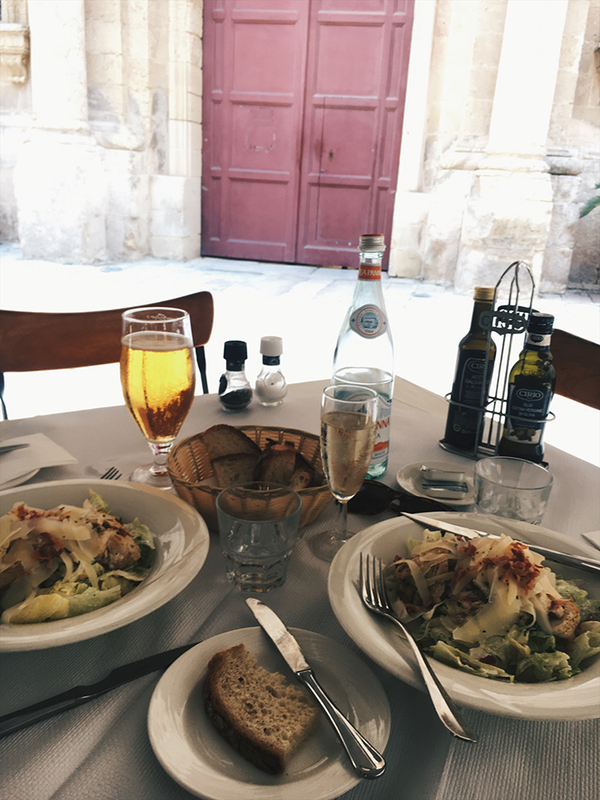 Leaving from Sliema, the all-day trip takes in some amazing sights, as well as serving up all-day food and drinks included in the price. I think we paid 100 Euro each and it was so worth it. 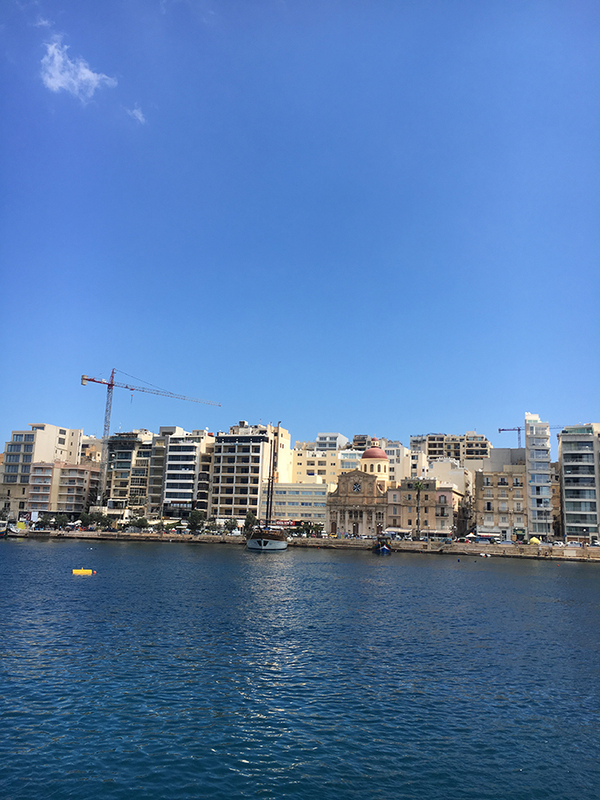 So many other boat cruises leaving from Sliema are really overcrowded, but Tip Top One take you to the quieter yet just as beautiful (if not more so) stops and the staff are all great. The food was delicious too and cooked on-board. We loved that you were sat at a designated table, so no worrying where you’re going to sit! The spaces book up fast, so make sure to secure your place before you go. This was my favourite day as it’s where we got engaged! 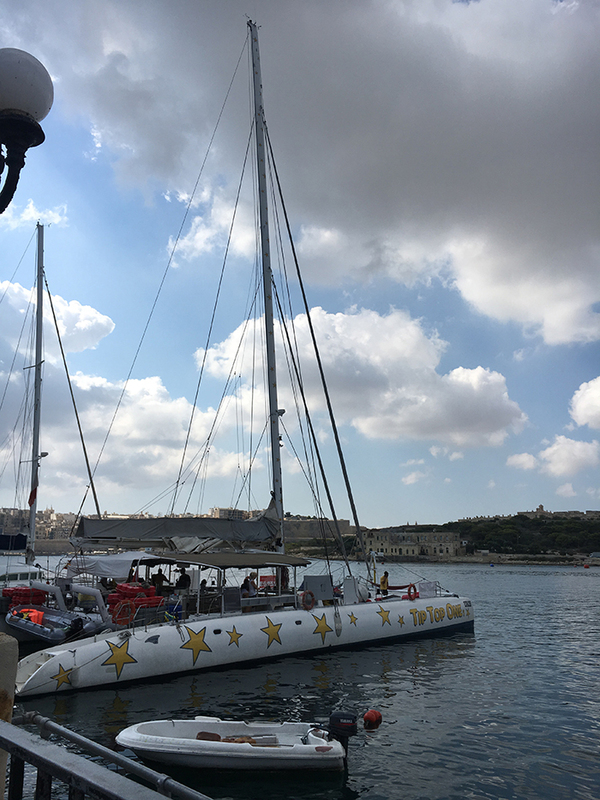 Take a water taxi across the bay from Sliema and explore Valetta. 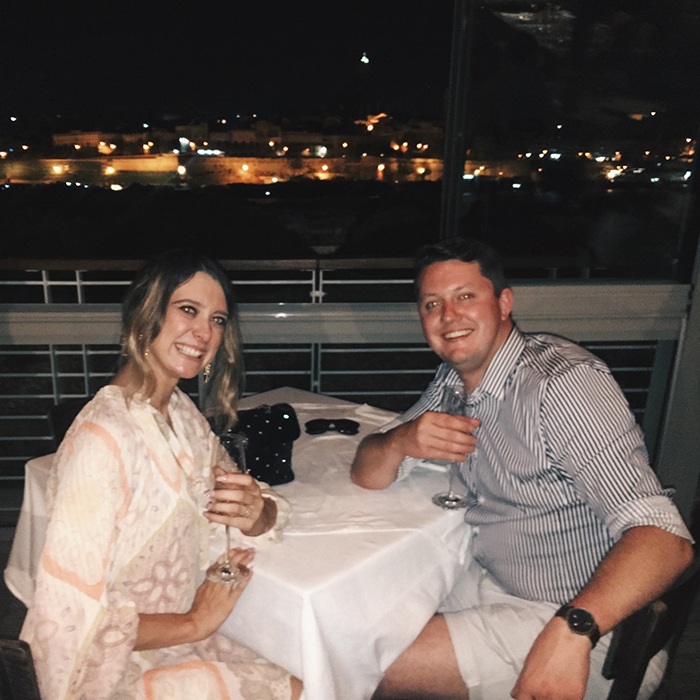 I won’t say much more on it just now as I’m going to write a full post about our engagement day in Valetta, but definitely add it to your must-see Malta list! 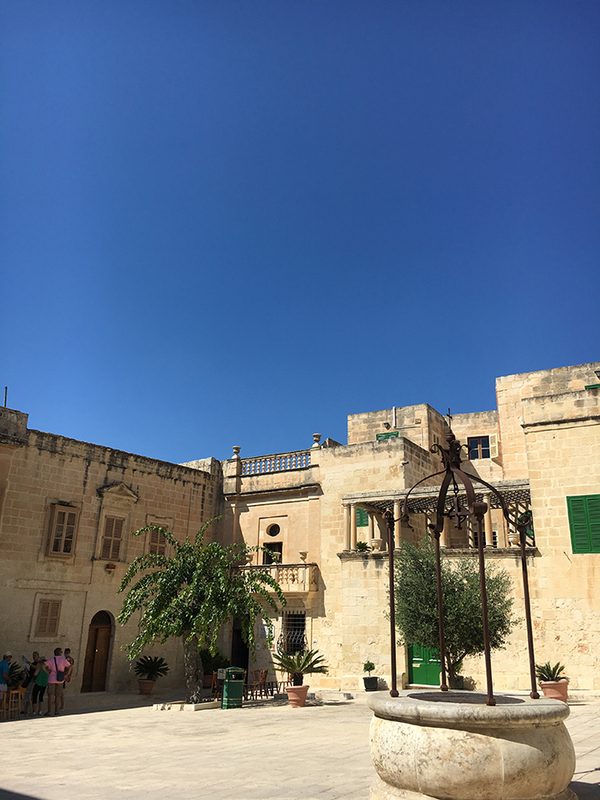 If you have time, take a trip to Mdina, which was Malta’s old city up until the medieval period. The city is still confined inside the original walls and feels like something out a film. In fact, Game of Thrones as used the very location to film some scenes! 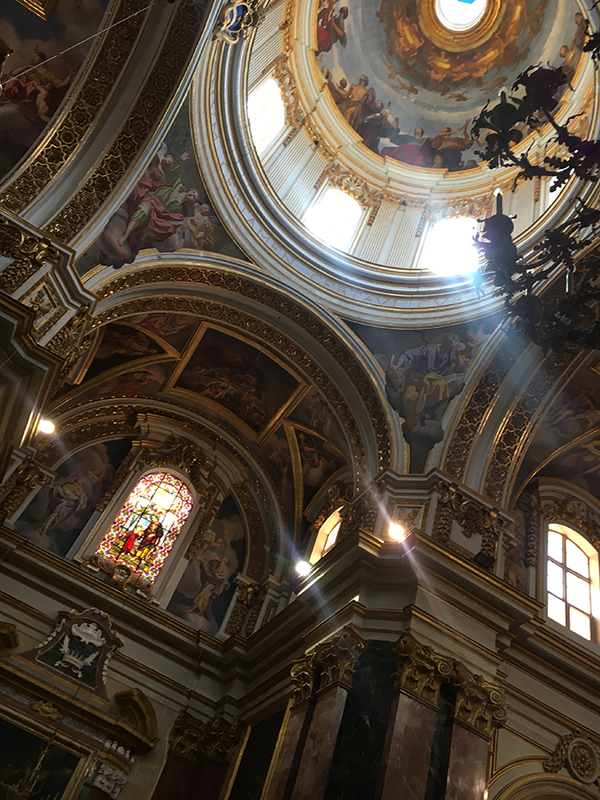 We paid to visit the church, which was amazing, and had a walk round the historic streets. 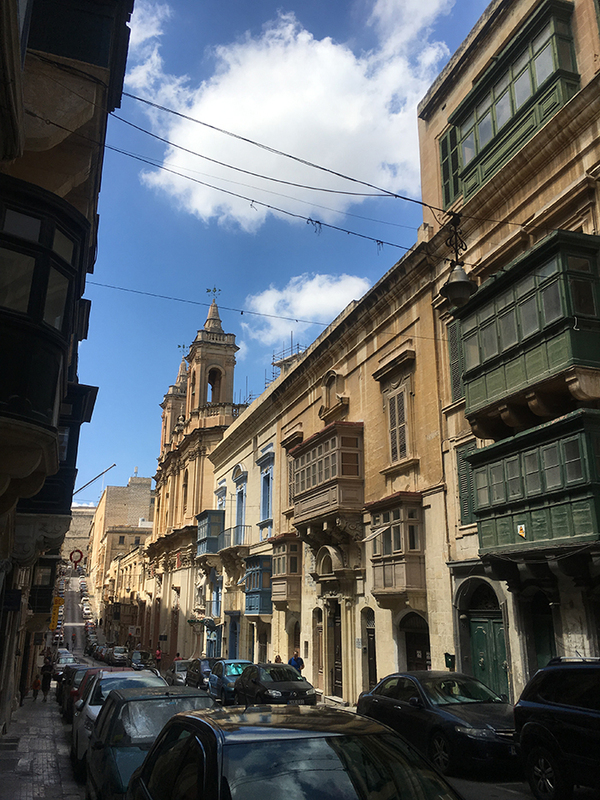 From Sliema, it is most cost-effective to head to Valetta bus station then get a bus out to Mdina, but Brian and I decided to treat ourselves to a taxi there and back instead, which cost around 50 euro all-in. After being totally ripped off for a taxi in a previous trip (I’m looking at you, Rome), I’m always a tad apprehensive of getting a taxi from the airport. 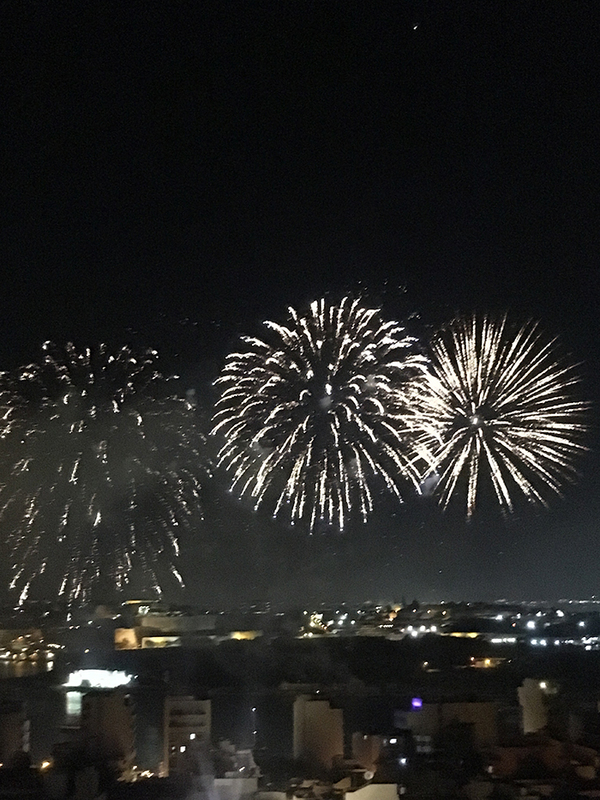 We needn’t have worried, though, as Malta’s taxi system is even better than home! You pay a set fee at the airport taxi kiosk, so no scary surprise rates, and you know everything is legit. 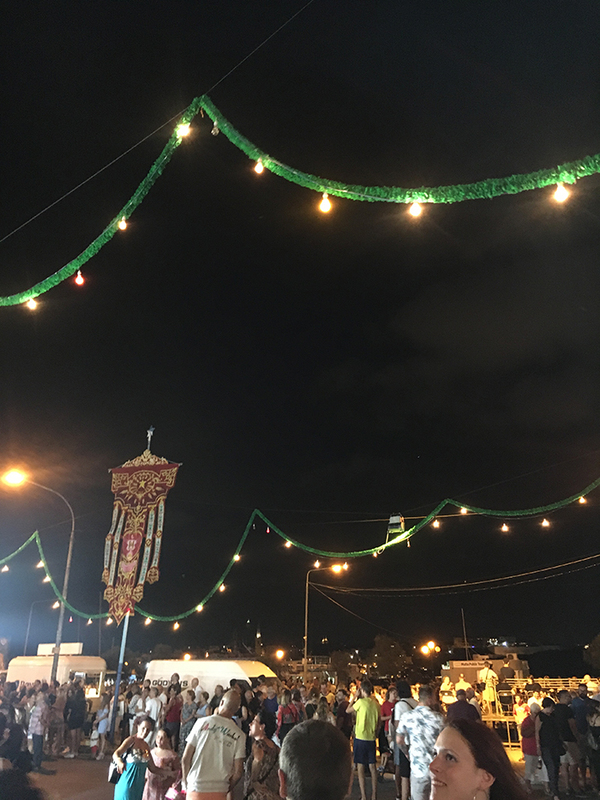 Totally unknown to us until we arrived, we were actually in Malta for The Feast of the Assumption celebrations, which was amazing to see. 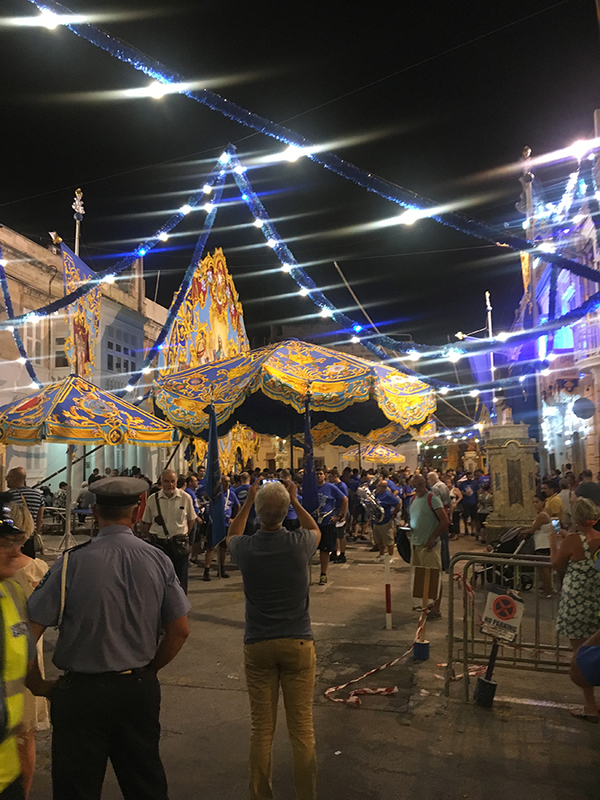 This takes place on 15th August each year, but it seems the celebrations continue for the weekend, with lots of fireworks, decorations and music. 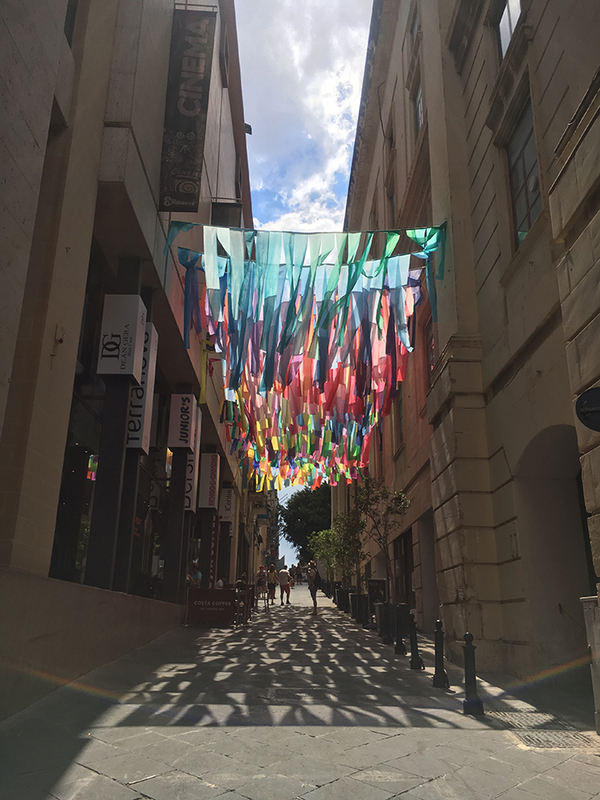 Malta has a lot of British influence, right down to the Marks and Spencer stores! 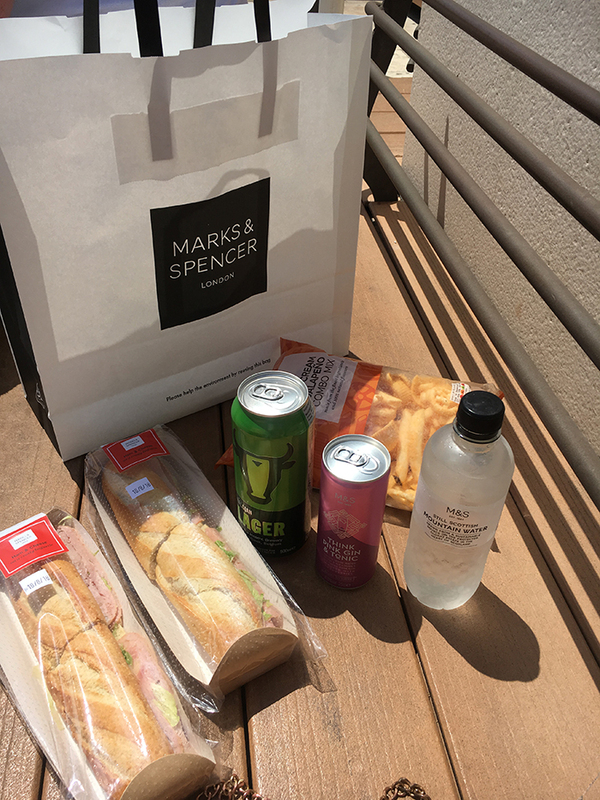 With Valetta really busy, and wanting a quiet lunch, we opted for good old M&S! That very pink gin and tonic and beer were the drinks we had straight after the proposal in the gardens and this picture makes me smile every time.